Sometimes, in the quilt making process, we realize that something is not quite right. What do we do about it? Rationalize it? Ignore it? Live with it? Or do we try to fix it? Such was the situation when I finished this rose. 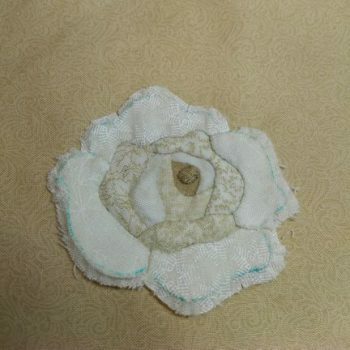 It is the birth flower for June in my quilt about time. 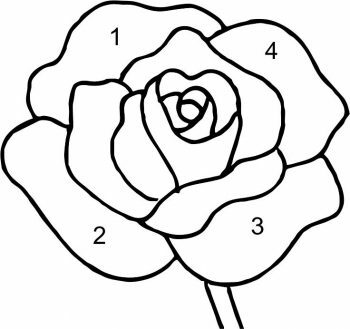 I knew it wasn’t right that the center whorl – which would be deep inside the flower – was sitting like a button on top of the bloom. 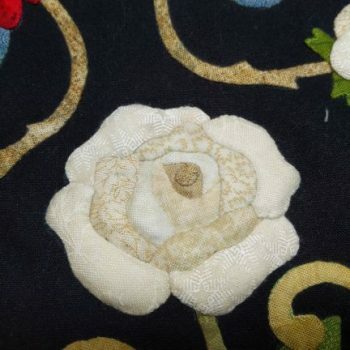 The problem was caused by the order in which the patches were sewn. 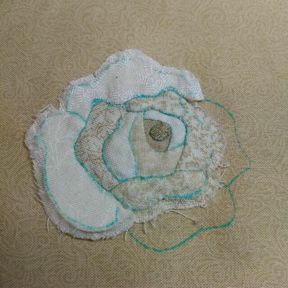 Looking at the drawing, it seemed logical that the outermost petals should be stitched first. 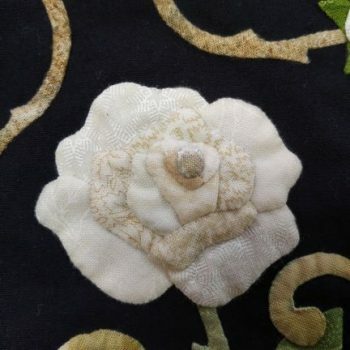 But in order for the center patches to appear furthest away, they should have been stitched first and the outer petals should have been stitched last. What should I do? I didn’t do anything right away. I thought about it, perhaps waiting to see if I could live with it, or perhaps giving myself some time before the undesirable task of picking it apart and doing it over again. 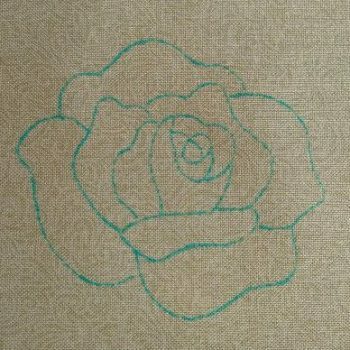 This time, I traced the rose drawing onto the darkest fabric in the flower – the deepest shadow in the center whorl. Then I started adding patches, working from the center out. 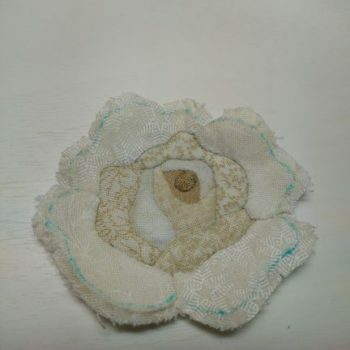 Once all the petals had been reapplied, I cut away the fabric I was using as a temporary background. This technique is known as working “off the block”. 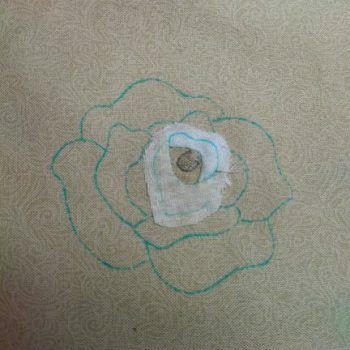 It’s a subtle difference, but I am much happier now with my rose. Maybe no one would have noticed – or if they had, realized what the trouble was. But I knew it wasn’t right and am very glad I took the time to fix it.